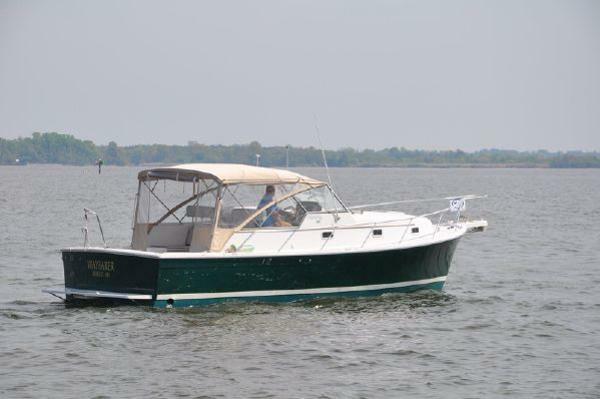 ELLEN L is a beautifully clean, well maintained soft top Pilot 34. 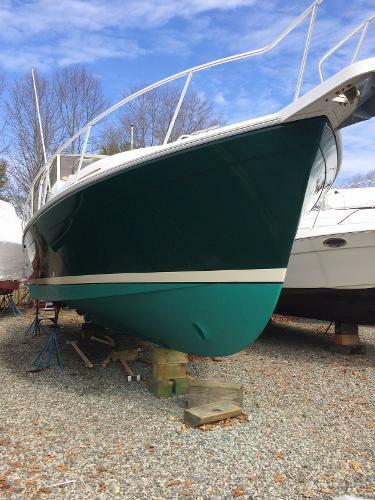 She has a gorgeous deep Hunter Green Awlgripped hull. 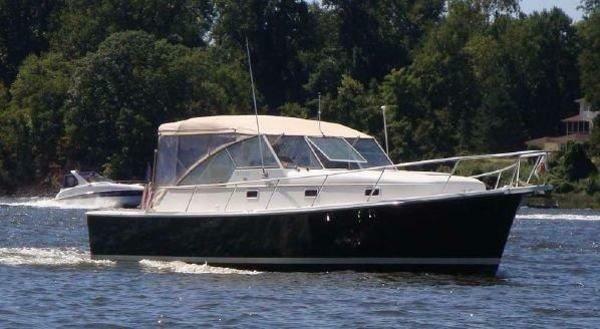 Her cabin is spacious and well laid out for comfortable cruising. She is driven by the highly preferred, economical Yanmar 6YLA-STE diesel with low engine hours. The owner very recently installed a radar arch with TracVision Satelite tv system (not shown). ELLEN L is well equipped to take you where ever you want to wander. Just pack your sea bags and get aboard!